Are you a cheat? Well, it really depends on the circumstances as everyone’s definition is different. Let us explain why electric bikes don’t fall under this category with the help of Mike Home, our Dealer Manager. The fundamentals of high performance electric bikes are simple – use electric power to assist you to maintain the same (or higher) average speed as a traditional bike, the difference being that you choose the amount of effort you exert. Now, whether that makes you a ‘cheat’ or somehow diminishes the achievement of going for a ride depends on what you want from the experience. An electric commuter bike enables you to work smarter and harder. Of course, it’s not cheating when you’re helping to push your own limits. “Unfortunately to go down hill, you usually have to go up first. So to reach the top with more energy and not be totally out of breath, an electric bike can help to get you there,” Mike said. Technically, people could call you a cheat for saving your legs for the ride home. We prefer to describe it as ‘smart’ and ‘efficient’ riding. Use the extra time at work to get ahead on projects or spend more time on the weekend doing the things that you enjoy. 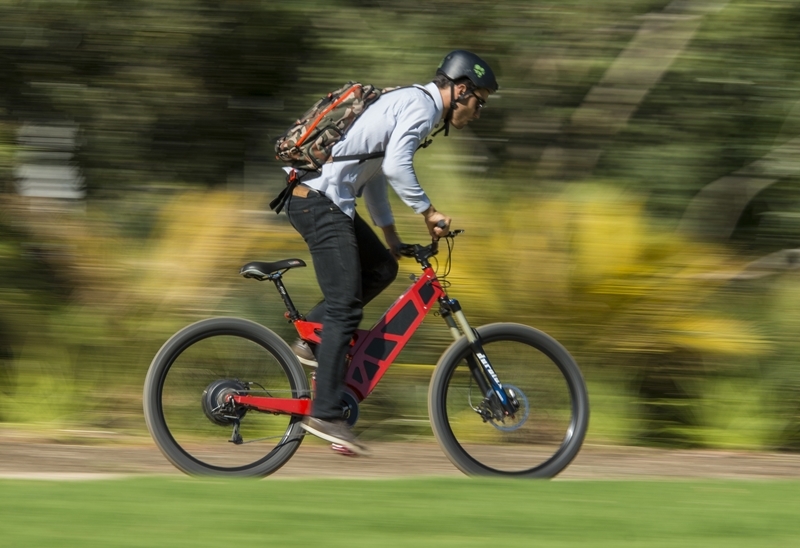 While an Australian-made electric bike can boost your average speed along tracks and trails, it can also be a valuable tool when you need to slow down – during injury recovery, for example. It would be unfair to label someone a cheat for using an electric bike for rehab when they’re injured! The decision to get back on the bike after a health scare or injury takes a lot of confidence and effort – certainly not the work of a cheat in our book! *Although we joke about the Stealth P-7, its multiple configurations enable you to decide how much of a ‘cheat’ you want to be. For example, in its off-road configuration, you simply have to twist the throttle to power up a steep hill using the 1000W motor – no pedaling required to reach speeds of up to 45km/h on the flat. In street mode, it’s slightly different – you have to use the pedals to engage the motor. The more you pedal, the faster you go. You’re still working hard (though the hills are a little flatter and those head winds are just a little easier). In short, a high performance electric bike is about personal results and enjoying your ride whether or not you’re a cheat doesn’t really come into play. To learn more about which Stealth Electric Bike fits your lifestyle, get in touch with your local dealer today.